Thomas Buford Meteyard (1865-1928) was a visual artist based in Boston for much of his career, and a member of the Visionists. He illustrated several books for Copeland and Day press, including their popular “Songs of Vagabondia” series of poetry books. In an unusual tribute to the role of the illustrator, Meteyard’s portrait appears on the covers of the books along with those of the authors, Bliss Carman and Richard Hovey. Meteyard later spent time in France, studying under Monet at Giverny, and helped to bring the Impressionist movement to America. He and his mother owned a beach house in Scituate, MA, called “Testudo” (Latin for “tortoise”), which was a frequent retreat for their artists friends, including the Visioninsts and fellow impressionist painter Dawson Dawson-Watson. 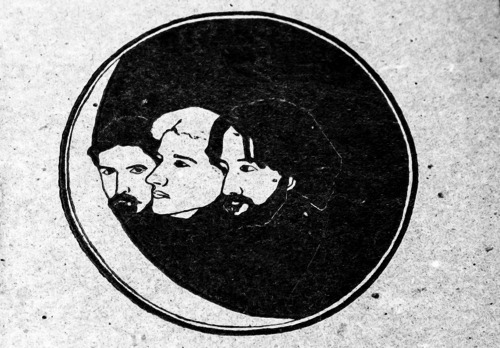 Above: Thomas Buford Meteyard’s portraits of (left to right) himself, Bliss Carman, and Richard Hovey on the cover of Songs from Vagabondia. This entry was posted in Thomas Buford Meteyard and tagged art history, bios, bohemian boston, Boston History, bostonart, bostonarts, edwardian, Thomas Buford Meteyard, thomas meteyard, victorian, vintage, visionists. Bookmark the permalink.